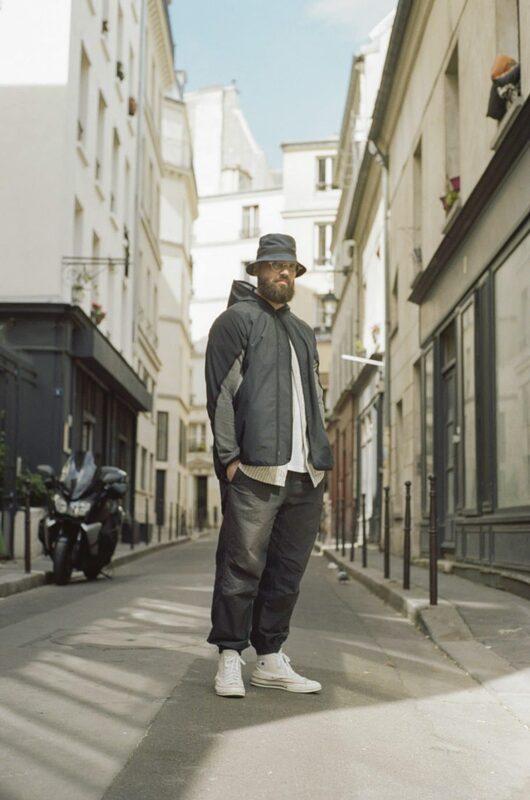 At Paris Fashion Week, MAEKAN together with BYBORRE did a series of interviews with some of the brand’s closest collaborators and friends revolving around BYBORRE and GORE-TEX’s collaborative project: The Hybrid Edition. 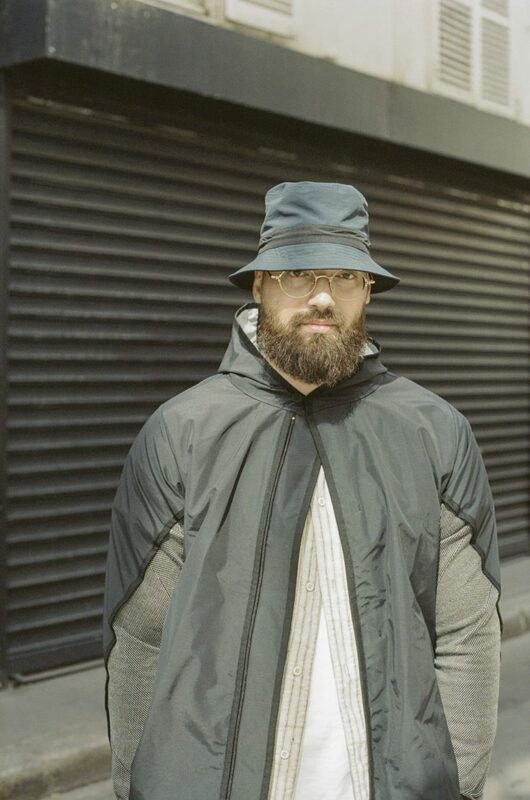 In this project, BYBORRE’s cutting edge knitting techniques meet GORE-TEX’s recent INFINIUM material technology to create a collection of eye-catching performance wear. Listen to Daniel Bailey, also known as Mr. Bailey, talk about his creative beginnings and what The Hybrid Edition means to him by clicking play above, keep reading for the transcript, and find a short video below. Daniel Bailey: I’m Daniel Bailey, also known as Mr. Bailey. I’m an independent footwear designer and developer. I’ve got a website called ConceptKicks which also doubles as a design and innovation consultancy firm. We work with big brands, small brands, just to create interesting designs, innovative designs, sustainable minded, what have you. I guess that encompasses pretty much everything. I come to Paris probably about two times a year, usually for Paris Fashion Week. It’s always lovely, especially this time of year. The way the light hits the buildings over here is just incredible. My favorite spot … actually, I just came from it … it was the Pompidou Center. I actually didn’t realize how incredible it was, the art they have in there and just the building itself and obviously inspiring one of the most iconic sneakers ever made. I just remember when I was really young my auntie was studying architecture and she would give me these doodles that she would make on paper and then she would ask me to make those doodles into a 3-D object and then go from a sketch to actually making it out of paper and that’s just something that we would do all the time and it’s something now where it has really paid off as far as two-point, three-point perspective, and all that stuff and actually making models. That’s just something that has been ingrained into me since I was really young. I mean I’ve always drawn shoes and random things, but when I was in university I did a couple of projects that went viral. They were on MSN.com and a whole bunch of celebrities and all these other people reposted it on their websites and stuff and it just kind of showed me that what I’m doing here causes a reaction. From there on out I kind of figured that I had a finger on the pulse of something, I was able to create something that caused a reaction which I think was the biggest thing for me to realize that you can create something, you can kind of be confident in what you’re doing and other people will embrace it. So I think when that happened that was a big trigger for me really. I think success is kind of staying true to what you truly believe is important in a product or whatever you are doing and riding out all the failures to get to that final win. I think my appreciation for footwear has definitely gotten deeper. I’ve never really been much of a sneakerhead, believe it or not. I’m not the kind of guy that’s going to know a release date of something or the name of every collab that comes out. I’m more of a product guy and I just love that sneakers are a great way to go from concept to product really quite quickly. So as I’ve gotten more involved in the industry I’ve realized how many different aspects there are to sneakers, so there’s the initial design but there’s also construction, there’s material innovation, there’s so many different parts to a shoe that people don’t really think about. So as I’ve gotten more involved in the industry my appreciation of construction methods and marketing methods, those are the things that I appreciate much more these days. Innovating is taking two different objects and bringing them together to create something new with today’s more contemporary construction methods and taking more traditional ones, bringing them together is a really lovely mesh. Just making sure that you can execute correctly is the key to a good hybrid, in my opinion. I mean the thing with BYBORRE that I’ve always liked is just the technicality and the knit from a base level. The textile is where it all starts and then combining that with different materials and being able to make it maybe more utilitarian for different activities is super interesting to me and just to see the different shapes and patterns and the way that the materials and the clothing hangs on your body and things like that. So like I said, just like with shoes, getting more interested in tiny little geeky details, it’s the same thing with this stuff. You know, looking at the material combinations, how it hangs, all that stuff is something that BYBORRE is doing extremely well. Sometimes the end product is the least interesting thing about a project, at least to my nerdy product mind. I like to see what was that initial spark? What was the journey like? What were the triumphs? What were the things that didn't quite work out? I think failure is a massive part of success and the reason why I brought failure up straight away is because that’s something that I’ve been talking about a lot today and how failures are massively important to any kind of product that you’re doing. You know, there’s lots of little bumps along the way, but I think success is kind of staying true to what you truly believe is important in a product or whatever you are doing and riding out all the failures to get to that final win or multiple wins. So I think success to me is just creating something that embodies who you are and what you believe in but also is accepted by a consumer that appreciates those same values. I get really inspired by seeing people’s process. For me it’s really great to see the journey that someone took to get somewhere. Sometimes the end product is the least interesting thing about a project, at least to my nerdy product mind. I like to see what was that initial spark? What was the journey like? What were the triumphs? What were the things that didn’t quite work out? How did you get to that point? I think that’s incredibly inspiring and it’s something that you can utilize that method and apply it to so many different parts of your life. So for me I think it’s bringing a level of transparency, bringing a level of storytelling but doing it all in a palatable way that people can consume. That’s the most inspiring thing: process, story. The better the story, the better the final product is for me. So I think I’d like to see more storytelling. 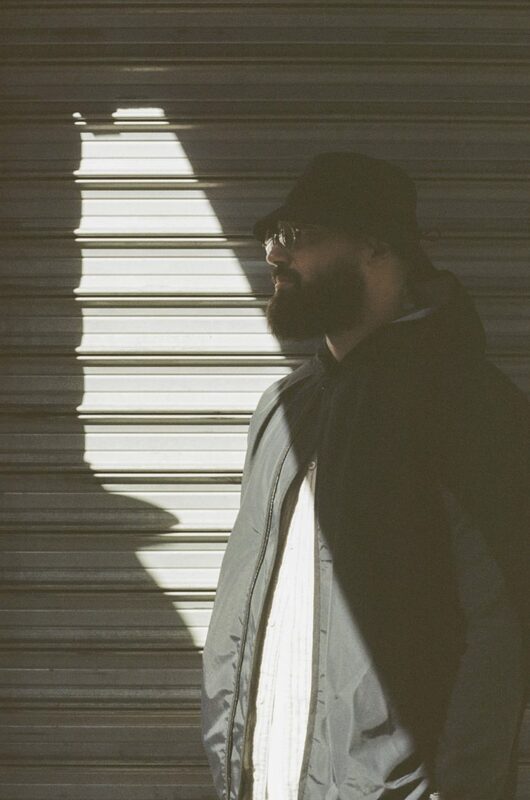 Take a look at BYBORRE’s The Hybrid Edition created in partnership with GORE-TEX.